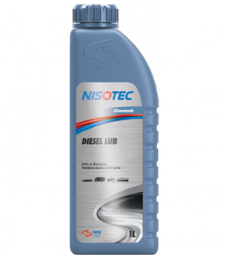 NISOTEC DIESEL LUB is the additive is added to the Euro diesel fuel to improve lubricity, especially when used to power the engines of older vehicles and constructions. Adding NISOTEC DIESEL LUB provides a good lubricity including protection from wear and tear and longer service life of moving parts of the high pressure pump for fuel. 1L of additive should be added to 200L of diesel fuel. Best results are achieved when poured into the tank before refueling. 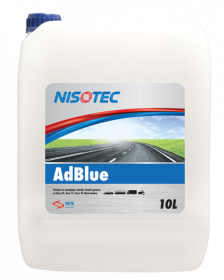 NISOTEC AdBlue is an agent for reducing the emission of harmful components of exhaust gases, primarily nitrogen (NOx) oxides. It is used in new models (Euro 4, Euro 5, Euro 6) engines of passenger and commercial vehicles, buses and trucks equipped with SCR system for additional processing of exhaust gases (Selective Catalytic Reduction -selective catalytic convertors). AdBlue is filled in a separate tank on the vehicle and can not be added to diesel fuel.